•	to do list reminders. In addition to viewing your recent or due patients, by simply clicking on the patient file or SMS symbol within the patient name, you can immediately either view the patient file or send a text message, further saving you time. 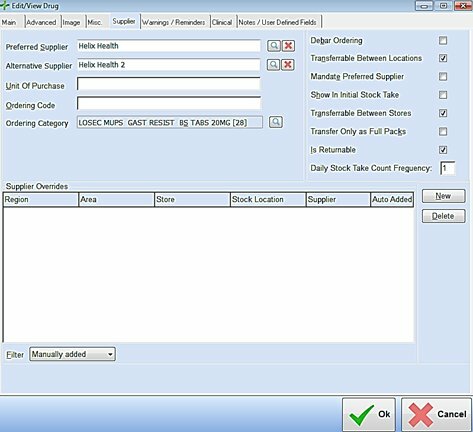 Unique to QicScript Plus, the new Work-flow Manager is an innovative feature which has been designed to optimise your time, increase efficiency and improve stock control. 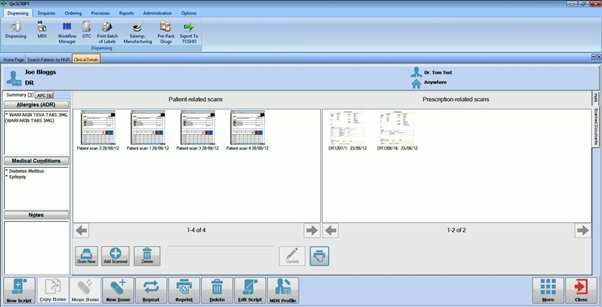 The workflow manager contains two outlooks – New Rx Notifications, containing all of your e-notifications and Rx Management. 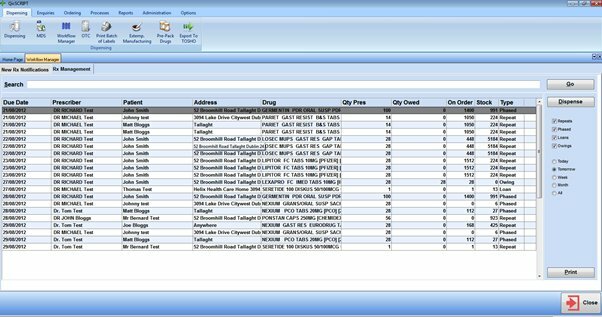 The Rx Management outlook displays of all of your prescriptions, phased, repeat, loans and owings, in a chronological work-queue. QicScript Plus provides improved ‘Electronic Document Scanning’ functionality. This functionality enables you to become paperless, saves time when you need to retrieve a document and increases efficiency. •	reconcile daily audit reports against prescription scans. "The Multi tabs function in the system is like having one and a half computers. 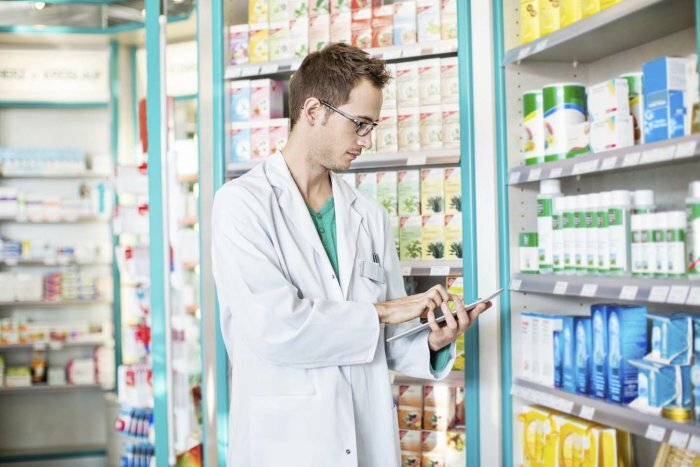 Sometimes I find myself asking my colleagues not to exit out of my patient (record) as force of habit when actually it has been a long time since the pharmacists in our shop have had to take turns dispensing. Now multiple actions and records can be open simultaneously." "QicScript Plus is a user friendly system. The feature I really like is that you can open more than one tab at a time which means if you are dispensing to one patient, you can leave the file and open up new patients on multiple tabs. The MDS dispensing is also very efficient and has saved us a lot of time on nursing home dispensing." "There are many features that are already helping us improve the way we serve our customers and on an almost daily basis we are discovering more...The Workflow Manager is a God Send!" "Managing the changeover was very easy because the training was excellent and the system is so intuitive. I'd definitely recommend QicScript Plus to a colleague."